It’s one of the best charities in golf, and it helps grow the sport of golf across the world. 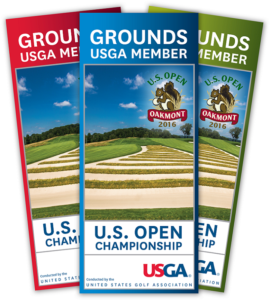 The Western Golf Association (WGA) has been running the Western Open or the BMW Championship for over 100 years. For many years the Evans Scholarships have been sought by many high school and college age kids trying to earn a ride to college. In some cases it’s the difference between some kids being able to attend college or not going at all. 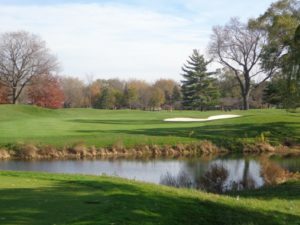 Schaumburg Tournament Course Par 3, 6th hole. This year the WGA has announced that the contribution from the championship was $2.8 million dollars. The 2016 BMW Championship was contested at the Crooked Stick Golf Club in Carmel Indiana. 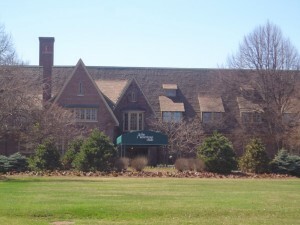 In 2017 the championship moved back to Lake Forest Illinois and the Conway Farms Golf Club. The largest fundraiser for the Evans Scholarship Fund is named after golf great Chick Evans, is currently the BMW Championship. 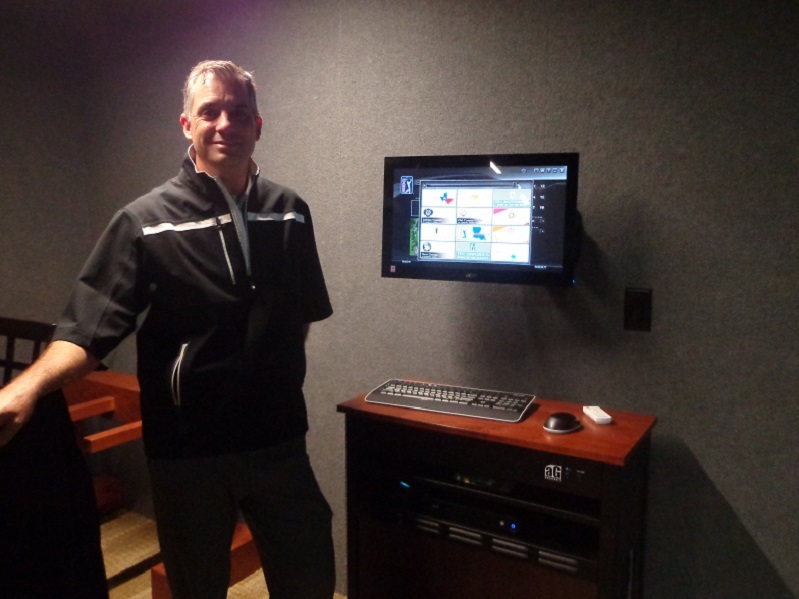 Schaumburg GC General Manager Jon Parsons sets up the new simulators for play. This years BMW championship drew over 120,000 spectators to Crooked Stick. Since BMW has joined the championship as it’s title sponsor, it has helped raise $24.4 million dollars.Current and former Evans Scholars worked in various capacities through out the tournament, with them donating much of their tips back into the foundation. This amount of money raised over $1 million dollars. Many of scholars worked at the putting challenge to raise additional funds. The dates for next years BMW Championship at Conway Farms have now been set for September 12-17 of 2017. 2016 champion Dustin Johnson is expected to defend his title at Conway Farms. For more information on the Western Golf Association and the Evans Scholars Foundation please visit WGAESF.com. 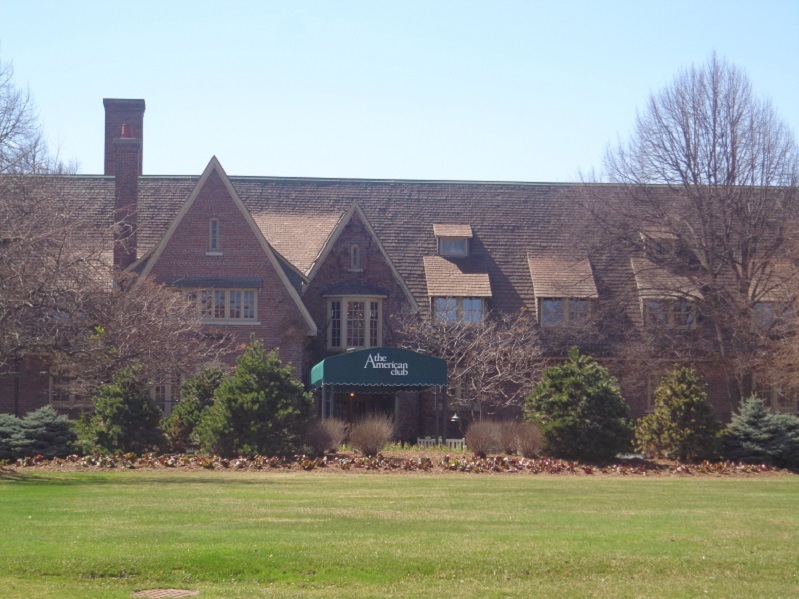 Futures site for the BMW Championship include in 2018 the Aronimink Golf Club near Philadelphia, and in 2019 the Medinah Country Club in the northwest suburban Chicago area. THE GOG BLOG is written by Editor and Director of Content, Rory Spears. Follow Rory on facebook, linkedin and twitter @gogblogguy. THE GOG BLOG by RORY SPEARS, Editor and Director of Content. 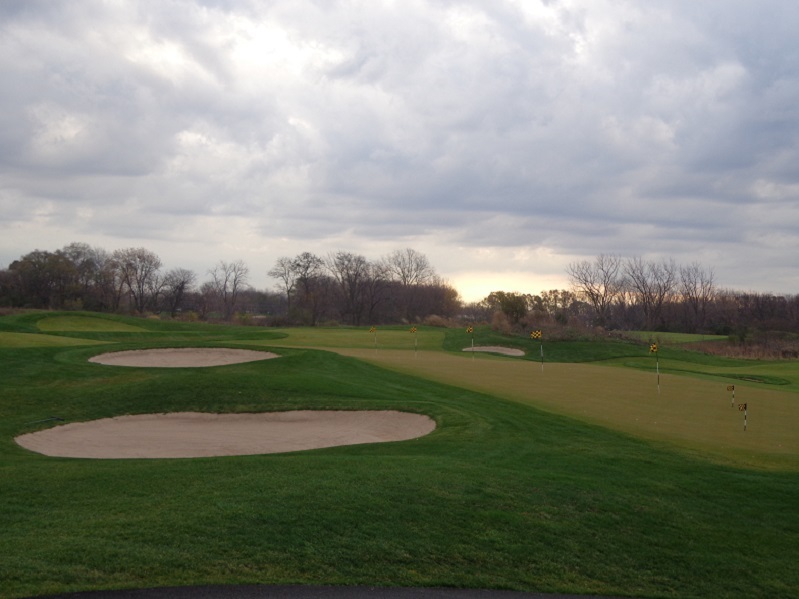 Follow Rory to the Schaumburg Golf Club and on Facebook, Linkedin, and Twitter @GogBlogGuy. The last several weeks viewers have enjoyed watching the Driver vs Driver program on The Golf Channel. This golf reality show pitted several teams against one another to design a new driver for the Chicago based Wilson Sporting Goods company, with the winning team or person taking home a cool $500,000 dollars. The winner was named in the sixth and final episode on Tuesday night before Thanksgiving. This done with the intent of having the winning driver, named Triton in the stores, the pro shops and ready to be purchased last week on Black Friday. The new Wilson Triton Driver, with adjustable settings. But as Triton hit the shelf’s and Wilson Golf hit the floor running last Friday, one problem immediately popped up. The word came out that the United States Golf Association (USGA) had not yet ruled the driver to be a conforming and legal to put in play driver. 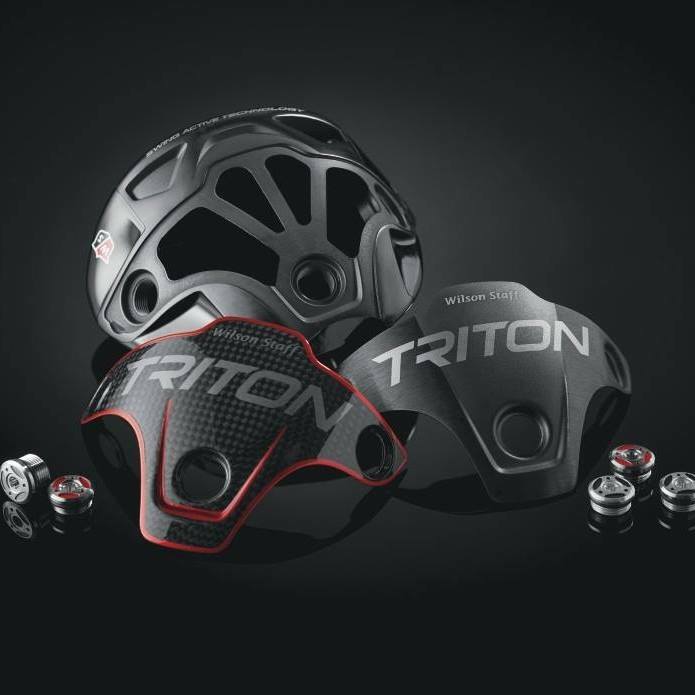 As a result some stores and pro shops took Triton off the floor and announced they will not sell the driver until the USGA issues a favorable ruling. While it seems that the USGA will eventually rule in favor of Wilson and the Triton driver, the question is when ? Everyday during the holiday season that Triton sits on the sidelines, benched by the USGA, are turning into costly days for Wilson Golf, pro shops and golf retail stores. Not to mention frustrated golfers wanting to purchase the newest hot driver on the market. WILSON GOLF GM Tim Clarke (L) is working with the USGA to move the process along as quickly as possible. (R) Welcome to Far Hills New Jersey home of the USGA and it’s research testing facility. 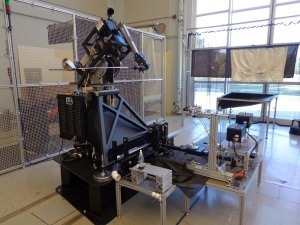 The outside of the USGA testing facility, with the newest version of the Iron Byron testing machine (R). One of the machines that will test out the new Triton Driver. The USGA testing lab, where conforming tests are run (L), along with another hitting bay to test hit clubs. 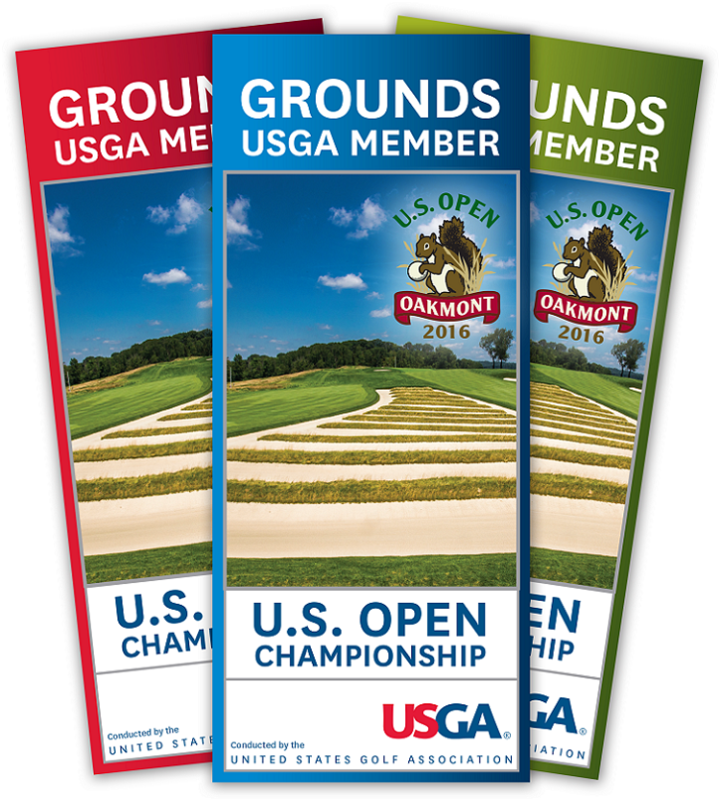 The doors can be opened so long shots fly out on to the USGA range. After the story broke on the weekend that Triton was still not yet conforming, Golfers on Golf contacted both the USGA and Tim Clarke for statements regarding the situation and requesting comment. 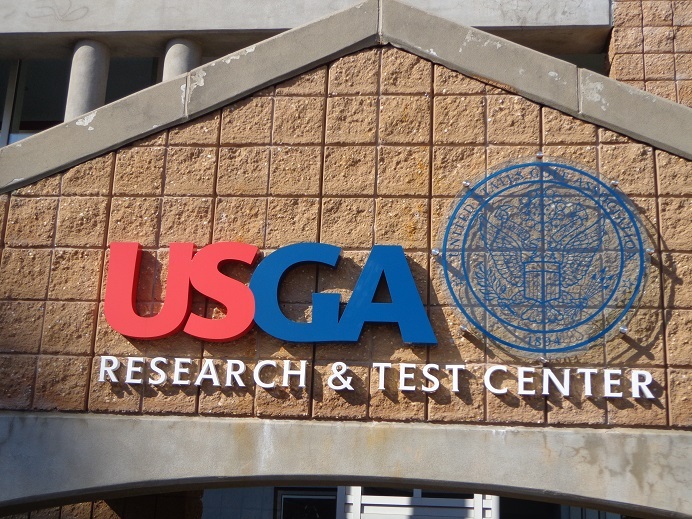 As of now, the USGA is currently not making USGA Managing Director of Club Testing John Spitzer available for comment, but might do so in the future if the situation requires it. Through a spokesman the USGA did issue the following statement in regards to the new Wilson Triton Driver. 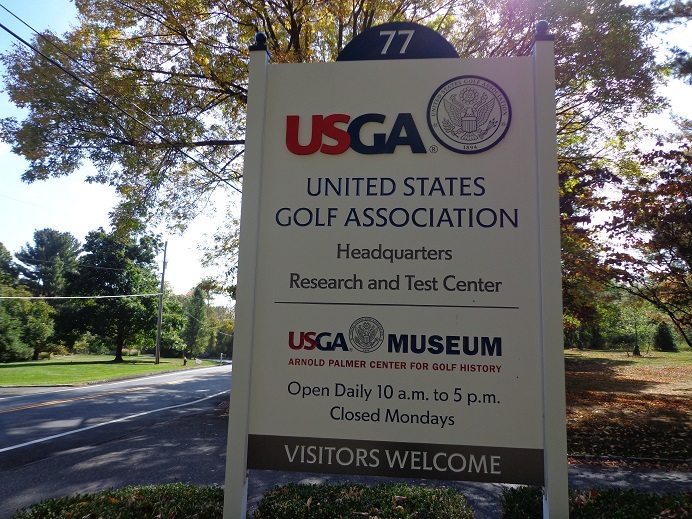 Tim Clarke told Golfers on Golf he will leave tomorrow (Wednesday) and head to Far Hills and USGA headquarters for meetings with the USGA about Triton. As of press time on this story, he plans further comment on Thursday. The Gog Blog will continue to follow developments regarding the USGA making the Triton Driver a conforming golf club. Did you get your golf shopping done over the weekend, or on Black Friday. Maybe it’s time for the golf community to create a “Green” day, to buy golf things during the holiday season. Just a thought. Today and tomorrow the weather is a bit shaky, cloudy and maybe rainy. But in the 50’s and warm enough for some outdoor golf, maybe take a shot if you still are looking for that last outdoor round of 9 or 18 holes. 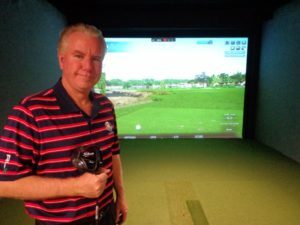 If not the domes are open and you can head inside, and check out the improvements at places like McQ’s in Bolingbrook, Links & Tee’s in Addison, or on the new simulators at the Schaumburg Golf Club. THE NEW WILSON TRITON DRIVER, you saw it be named the winner in the recent Driver vs Driver contest on the golf reality show on The Golf Channel. The winning designer won $500,000, and Wilson staffer and PGA Touring professional Kevin Streelman says he will start his 2017 PGA Tour season with the new Triton Driver in his golf bag. (Above Right is Wilson Golf GM Tim Clarke who announced the winner in the final episode of the six-part series. 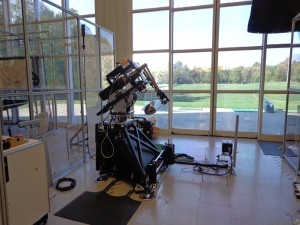 The USGA Test Center in Far Hills New Jersey (L), the modern version of the “Iron Byron” club testing machine, which will be getting a work out with the new Triton Driver. HOLD THE PRESSES… it seems that Golfweek Magazine reported first over the weekend, that the Triton that went up for sale on Black Friday as Wilson advertised and promoted that it would, is “not yet” USGA conforming. 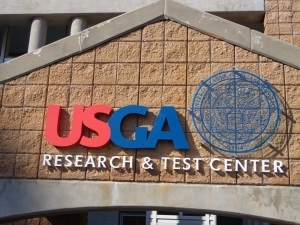 As a result some golf stores and golf course pro shops have pulled the club off it’s racks until the USGA gives it’s seal of approval, which according to Golfweek could be weeks away. According to Clarke this is a cross over in timing, and full USGA approval is expected, but the question remains when, and if approval is not received, what happens to Triton and or what adjustments will get made and can it get back on the shelves before Christmas in the stores and shops that are supposed to be carrying it. 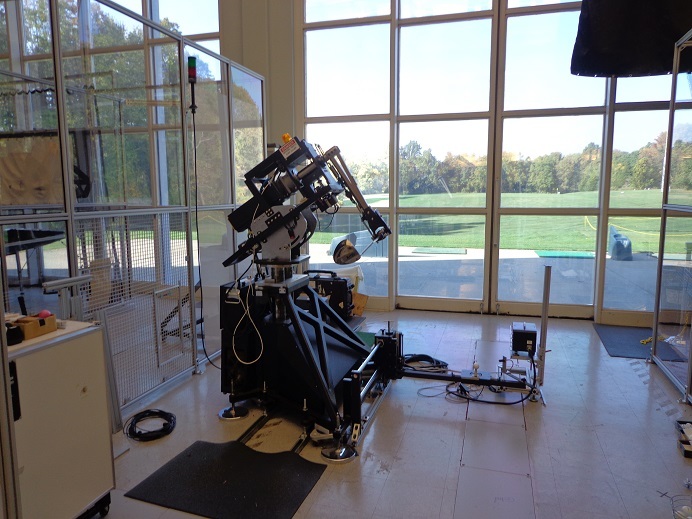 GOLFERS ON GOLF has made requests for comment from Tim Clarke at Wilson Golf and John Spitzer the USGA Managing Director of Equipment Standards, and hopes to post an update on this site later today after hearing from both parties. 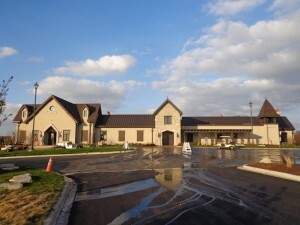 The new Mistwood Clubhouse in Romeoville. 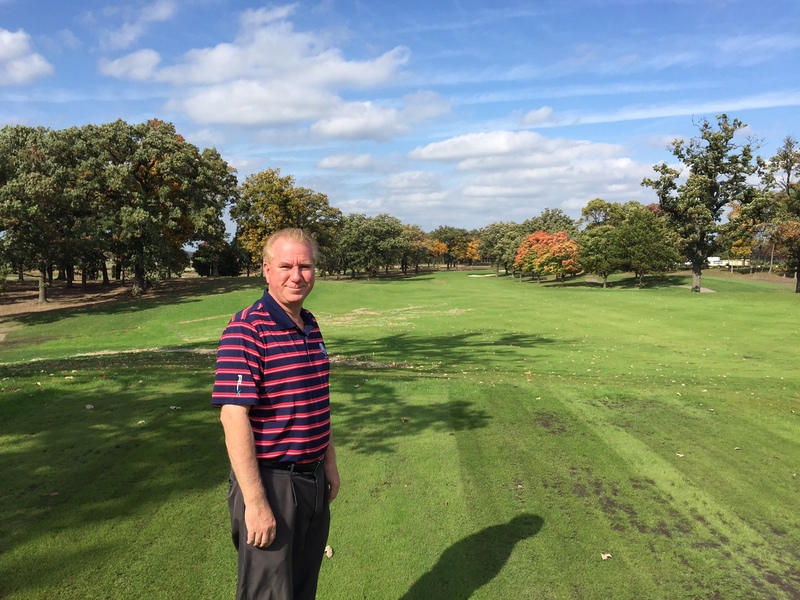 Daniel Wohlfeil who designed the new Mistwood GC clubhouse and has been retained to design the new Chicago Highlands Clubhouse, has now been selected to design the new clubhouse for the golf course, which will be renamed to replace Oak Meadows in Addison. 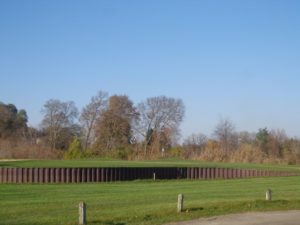 Wohlfeil will produce several options for the DuPage County Forest Preserve District to review, before the board of directors makes it’s final decision. SINCERE CONDOLENCES to my Golfers on Golf Radio broadcast partner Bill Berger and his family on the unexpected passing of his 10 year old grandson this past Friday. 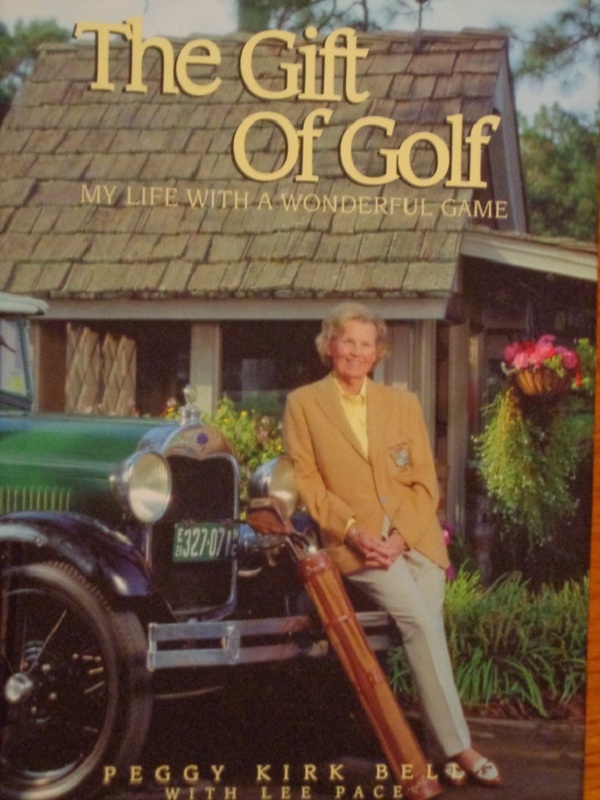 The cover of The Gift of Golf, the book by Peggy Kirk Bell her life story. With some high profile passing’s in the last few hours, a couple of losses in the golf world have gone a little under the radar. 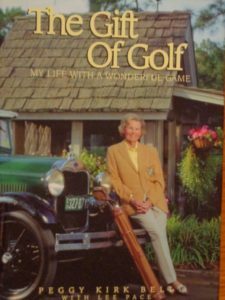 To catch you up, Peggy Kirk Bell the owner of the Pine Needles, and Mid Pines golf resorts in Southern Pines NC, and an LPGA Hall of Fame member has passed away at age 95. Bell died peacefully in her sleep surrounded by family on Wednesday night in her home. Bell had an outstanding career on the golf course, and continued to contribute to the game during her years of resort ownership. Pine Needles a wonderful property with a classic Donald Ross design golf course, has hosted 3 U.S. Women’s Opens. Into her 90’s Bell would still stop on the range and help golfers with their golf swings. For more information there are statements by her son-in-law Kelly Miller, on the Mid Pines and Pine Needles resort websites, and a story from in the Pinehurst newspaper the Pilot. There have been no statements by the family yet, as what might be the business direction of both resorts going forward. JERRY PALMER even though he was 15 years younger than his more famous brother Arnold Palmer, Jerry Palmer passed away on Thanksgiving at the age of 72 only some 60 days after his brother. Jerry never quite had the game his brother had on the golf course, but he was a golf course superintendent and belonged to the ASGCS. Jerry Palmer served in that capacity at Latrobe CC home of his more famous brother for several years. THE GOG BLOG by Rory Spears, Editor and Director of Content. 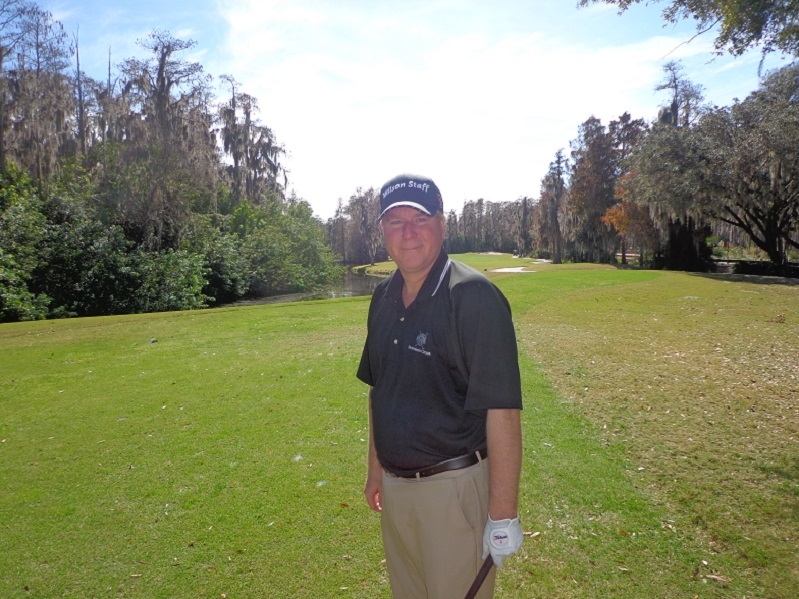 Follow Rory on Facebook, Linkedin and Twitter @Gog BlogGuy, and to golf resorts like Innisbrook in Palm Harbor Florida, home of the Copperhead Golf Course (L). The comeback journey does continue for Wilson Golf, with the release of the latest Wilson winner, the new Triton Driver, winner of the Driver vs Driver Contest. Wilson winners include Golf GM Tim Clarke (L) and Illinois Golf Coach and IPGA Section Champion and Wilson staff player Mike Small (R). 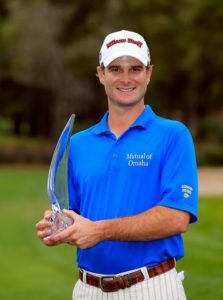 PALM HARBOR, FL – MARCH 17: Kevin Streelman holds the trophy after winning the Tampa Bay Championship at the Innisbrook Resort and Golf Club on March 17, 2013 in Palm Harbor, Florida. Kevin Streelman a two-time winner on the PGA Tour holds the trophy after winning the Valspar Championship, Streelman is a Wilson Staff player and will play the new Wilson Triton Driver on the PGA Tour in 2017. Three time major champion Padraig Harrington another Wilson Staff player, was impressed by the club but no word yet if he will use it on tour come next year. 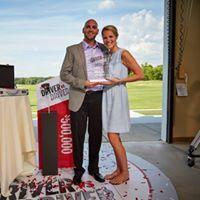 The new Wilson Triton Driver, and winner Eric Sillies with his wife on the final episode of Driver vs Driver, that was filmed at Cantigny Golf in Wheaton. If there ever was a great golf reality show, it was Driver vs Driver on The Golf Channel for the last 7 weeks. According to Wilson Golf GM Tim Clarke, over 300 people entered the contest to design a new driver for Wilson Golf and win $500,000 dollars in first place prize money. The contestants ranged from engineers to golf professionals to college students to took on the contest like it was a school project, not everyone who submitted an entry even played golf. In the end, the contest came down to a couple of outstanding entries, one submitted by winner Eric Sillies (The Triton Driver) and the other by Gavin Wallin (The Pivot), and even though Sillies won the contest, the driver that Wallin entered seemed to be a pretty good product in it’s own right. 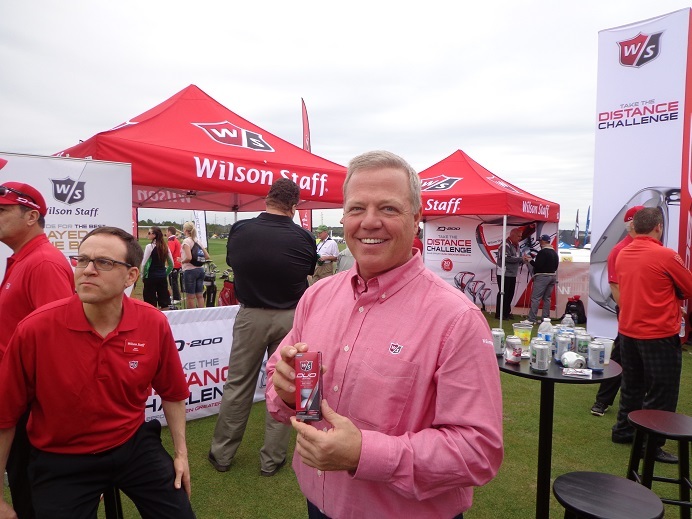 Click here to hear the interview with Wilson Golf General Manager Tim Clarke on the golf reality show Driver vs Driver, that concluded last night on The Golf Channel. Good news for all of you that enjoyed the show but wished that you could have entered a design of your own, Clarke has not ruled out a future show that could be something like, Iron vs Iron, Wedge vs Wedge, Putter vs Putter, or the same concept with fairway metals or hybrids. Let’s hope Wilson does just that. Golfers listen to the interview for locations, or visit the Wilson Golf website for locations, but the new Triton Driver is now on the market, you can order them starting in just hours come Black Friday. But with any golf club and Clarke also strongly recommends this with Triton or any golf club, but especially with Triton, because there are so many moving parts and adjustable weights, do get fitted by a fitting professional before you purchase your driver or other clubs and head out to the golf course. If you missed the show or some episodes of the show, do golf visit The Golf Channel and click around until you find where you can watch past shows. The Chad Johansen putting studio at Blackberry Oaks, also see Chad’s inventions at Perfectputtingaid.com and guideforgolf.com, Chad is located at Blackberry Oaks GC in Bristol. 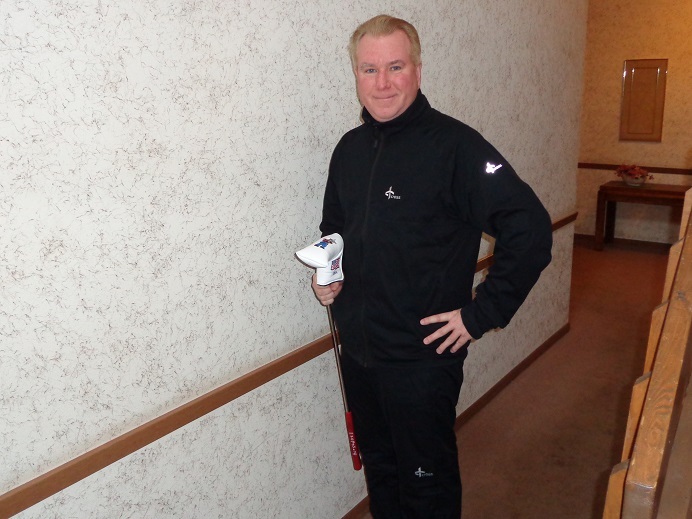 Illinois PGA Professional and Blackberry Oaks General Manager Chad Johansen is not only a golf professional but a golf aid inventor. Johansen has created the Perfect Putting Aid, used by over 100 PGA Tour professionals, including both reigning open champions. Now comes his latest creation the Guide for Golf, take a lesson when and where you need it, focusing on the issue you are having that day. The Gog Blog by Rory Spears, Editor and Director of Content. Follow Rory to Harbor Shores Golf Club and the Harbor Shores Hotel, facebook, linkedin and twitter @GogBlogGuy. What was once a garbage dump, is now an area that has a lot to be thankful for. 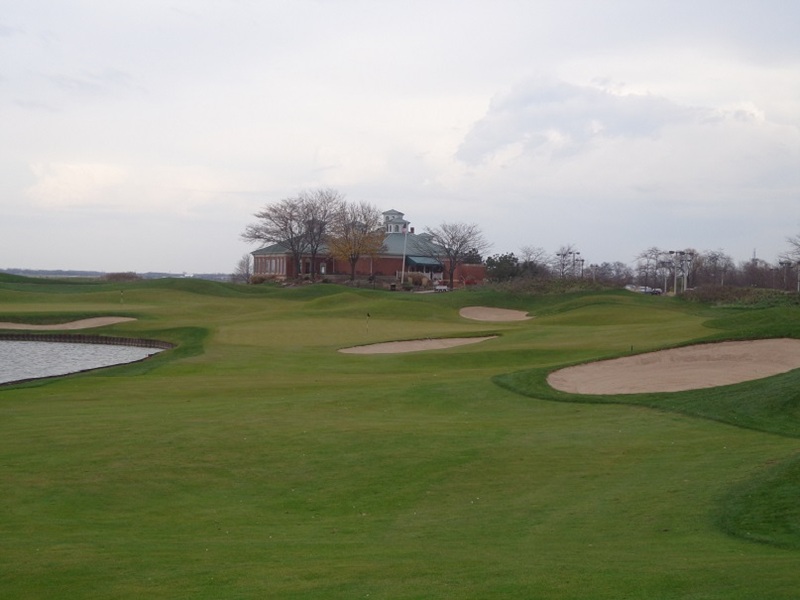 The Harbor Shores Golf Club in Benton Harbor and St. Joseph’s Michigan continues to grow, and it all started with the building of a Jack Nicklaus designed golf course. The latest and great at Harbor Shores is called Harbor Village, the seventh and latest as well as the largest development at the site is about to begin making progress. Harbor Village will offer a variety of single family homes, townhouses and more, this area will open to residents next summer. The Harbor Village properties like the others will be connected to the waterfront and other activities in the area. This area like the others around the golf course and the renovated harbor, should be attractive to younger families, empty-nest couples and retired families. Single family homes will range from $300,000 to $550,000 and townhouses from the high $200,000 range to over $500,000. Model homes of all designs should be available to tour by fall of 2017. Harbor Shores has been quickly growing since it’s inception in 2010, most of the inventory in the Trailside, Hideaway and Fairways area’s has been selling fast and is over 80% sold out. Many of the lots remaining do have views of certain holes on the golf course. The Senior PGA Championship sponsored by area Kitchen-Aid and Whirlpool will continue to be played at the Nicklaus Golf Course. The championship was won this year by Rocco Mediate and will contested again on the course in 2018-2020-2022 and 2024. this coming year Mediate will defend his title at Trump National in Washington DC. For more information on the Golf Club at Harbor Shores the Sr. PGA Championship and living in the communities of Harbor Shores please see harborshoreslife.com. In the past week the Illinois PGA has elected it’s new officers for 2017. Golfers on Golf would like to congratulate the following section professionals. Mark Labiak from Ruth Lake Country Club on being elected president. Jim Miller from Bloomington GC on being elected vice-president. Nick Papadakas from Onwentsia Country Club on being elected as secretary. The following section professionals were elected to serve as board members, Ian Grant of TMP Golf Academy. Dennis Johnsen from Pine Meadow Golf Club, and Steve Orrick from the Country Club of Decatur. 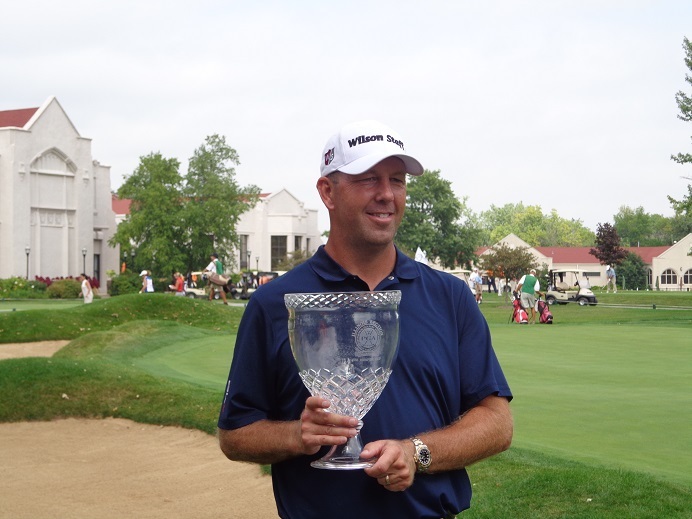 During a ceremony at Medinah Country Club in October, Casey Brozek from the Country Club of Crystal Lake was named the Illinois PGA professional of the year. THE GOG BLOG, by RORY SPEARS, Editor and Director of Content. 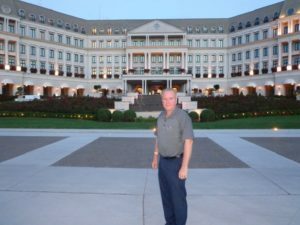 Follow Rory to places like the Nemacolin Woodlands Resort in Farmington PA., and to Facebook, Linkedin and Twitter @GogBlogGuy. When one looks out the window and see’s another sunny day that’s a good thing, then when one see’s the thermometer and it’s only 34 degrees outside, and then looks at the date on the calendar, reality sets in. Outdoor golf season is likely over, and in the Chicago area that mean’s it’s golf dome season. 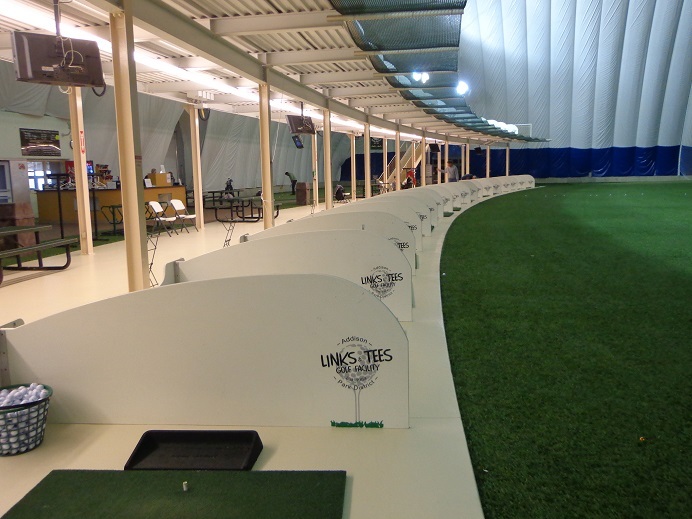 The golf domes in the Chicago area are pretty good, and there are several to pick from. The old standard is the White Pines Golf Dome in Bensenville on Jefferson Street between York Road and Rt.83. The more modern domes are McQ’s Dome in Bolingbrook, on Rt.53 north of the Stevenson (Rt. 55), and Links and Tee’s on Lake Avenue in Addison. The Buffalo Grove Dome on Rt. 83 is always another option. 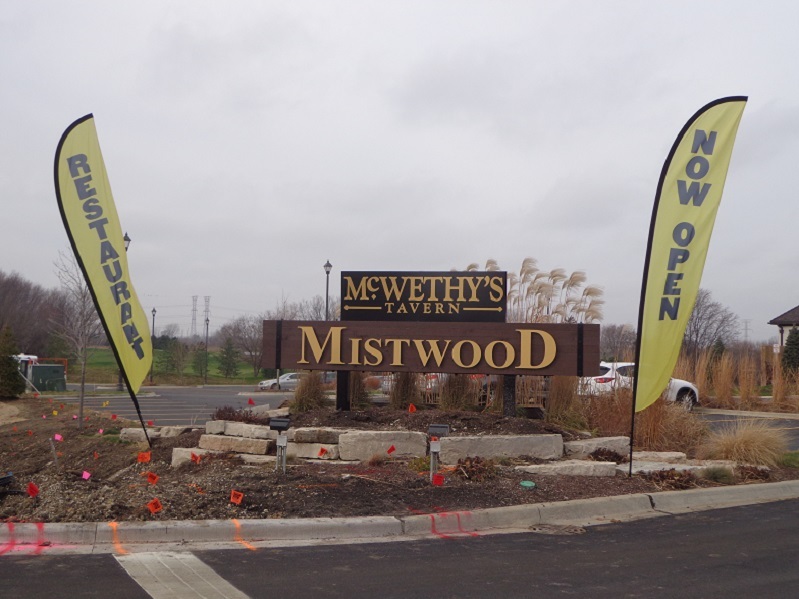 McQ’s Dome in Bolingbrook is part of the McWethy Golf operation that also includes the award winning Mistwood Golf and McWethy’s Tavern at Mistwood in Romeoville. The Buffalo Grove Dome is part of the Buffalo Grove Park District. 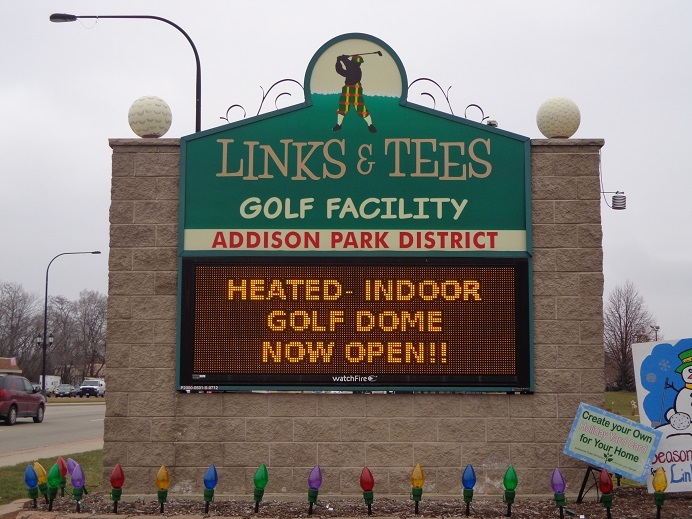 The Links & Tee’s Golf Facility on Lake Street in Addison has opened the golf dome for the winter golf season, Links & Tee’s is one the area’s premier golf domes, and is a multi-time GRAA (Golf Range Association America) Award winner. Now I’m hoping next week Mother Nature will give us a quick day or two of over 50 so we can play outdoor golf one more time, I’m keeping my fingers crossed. THE WEEKLY ONLINE GOLF PUBLICATION GLOBAL GOLF POST, is out again this week and has a link to a scary story in the USA Today by Christine Brennan, regarding the USGA and the 2017 US Women’s Open and the president-elect. If that’s all Brennan can come up with, she can do the great sport of golf a favor and WD before she get’s DQ’d. She has already missed the cut with many golfers, men and women alike. ON THE MOVE and it’s the Ziehm Machine. BIG 3 partner Len Ziehm the name behind lenziehmongolf.com and yes there is a facebook page under that name as well, is on the move. After spending a good chunk of the last five winters in sunny Florida, Ziehm decided to get closer to the action in the sunshine state. Congrats to Len on buying a new clubhouse in Florida near the PGA of America Hall of Fame in Port. St. Lucie Florida. Ziehm has already attended the media day and written about the renovation of the Pete Dye Course (now reopened) at PGA Village on his website. Ziehm will be lodging during the cold months in Florida, and then coming back up to Illinois for over 4 months in the summer to remain on top of golf season in the Midwest. 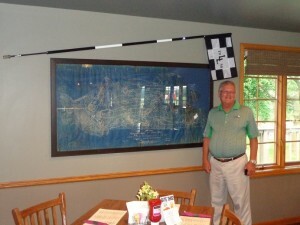 Len’s work in the Daily Herald, Chicagoland Golf and the CDGA Magazine will continue. 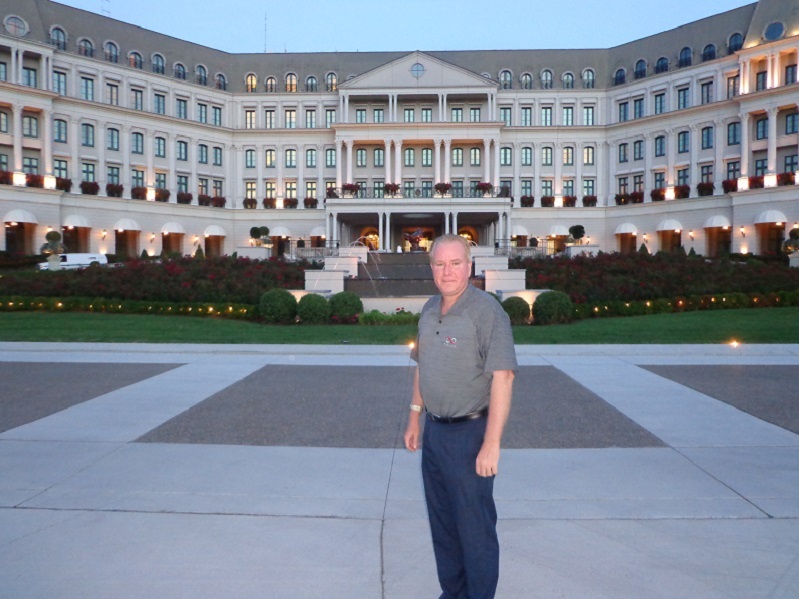 Former Illinois PGA Professional Mike Jones is the Director of Golf at the Nemacolin Woodlands Resort in Farmington PA.
ON THE MEND..Get well wishes to to former Illinois PGA professional Mike Jones. 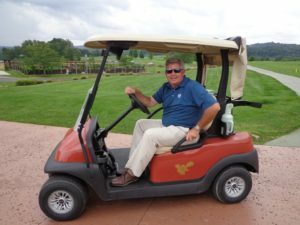 Jones who wrapped up 8 years on Maui in Hawaii this spring, and came back to the mainland to take over as Director of Golf at the Nemacolin Woodlands Resort in Farmington PA., recently had some knee and hip surgery. Rehab is underway and Jones reports that he will be 100% by April and back on the golf course. About 3 months ahead of the opening of the new Pete Dye Course at Nemacolin that is scheduled for a July 1st opening. The new course that sits next to the #1 you can play course in Pennsylvania called Mystic Rock, has been named Shepherd’s Rock. For more information on this destination resort please visit Nemacolin.com. IN PREPARATION for the holiday rush, if you are shopping for the golfers in your favorite foursome, and or in your life or family, please read our column from two weeks back on how to do it. Save yourself time and money by getting it right the first time. THE GOG BLOG by Rory Spears, Editor and Director of Content. Follow Rory on Facebook, Linkedin and Twitter @GogBlogGuy. Myrtle Beach starting to feel like a good idea as Chicago cools down. The Gog Blog is starting to feel like it’s time to head south, as the cool air is settling into the Chicago area. For those of you who will enjoy Thanksgiving and then move on to Florida or Arizona, enjoy, your golf season continues. The Gog Blog will head to Florida in late January for the PGA Merchandise show, in the meantime for those of you about to start holiday shopping, the Gog Blog will try and pass along some golf ideas and places to shop. So stay clicked in. 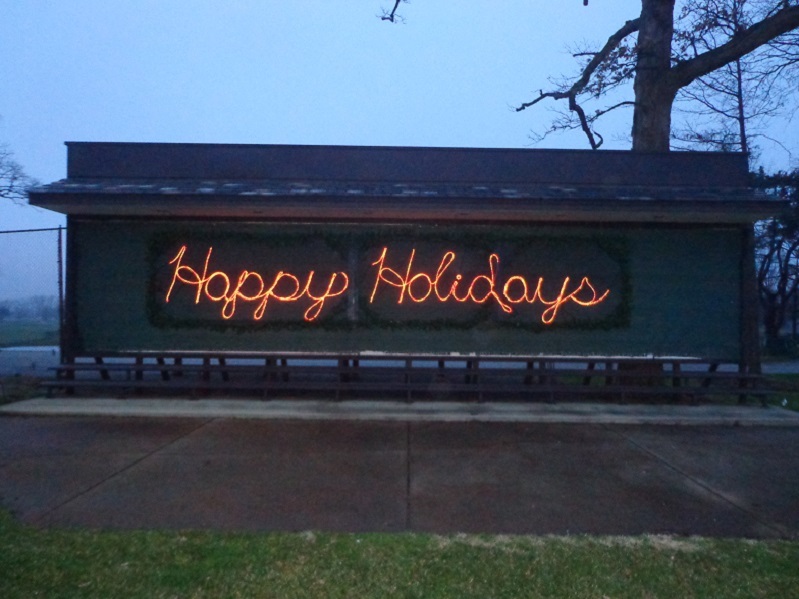 From all of us at Cog Hill in Lemont. The annual Cog Hill Christmas and holiday sale will be held on Saturday December 3rd from 10 Am to 3 Pm. There is free gift wrapping for those who need it, and punch bowl will be out with the famed Cog Hill holiday punch free of charge. Cog Hill has also announced that the famed “Eskimo Open” will played this year on Sunday January 8th, call Cog Hill or visit Coghillgolf.com to sign up, hopefully the weather won’t have the course waist deep in snow so you won’t have to play with orange golf balls. McWethy’s Tavern at Mistwood on Renwick Road in Romeoville. You might have heard of the golf show on The Golf Channel being sponsored by Wilson Golf, it’s called Driver vs Driver. Where the winner will be announced this coming week, see local listings for show times. In Romeoville on November 30th, there is something else that will hit home to the taste buds of golfers. Beer vs Beer, and no the pro or the owner of Mistwood will not be the judge. YOU ARE. Revolution Brewing of Chicago, takes on Firestone Walker Brewing of Paso Robles California, there is four courses of culinary talent, and five courses of beer from the two breweries. The battle starts at 6:30 and cost is just $50 per person at McWethy’s Tavern (815)-254-7001 or McWethysTavern.com for more details. ALSO FROM THE MISTWOOD/MCQ’S scene.. Black Friday sale this Friday Nov. 25th, doors open at 8 AM at McQ’s Rt. 53 in Bolingbrook. The 2nd annual Breakfast with Santa in the Great Hall at Mistwood Sunday December 4th, 10 Am to 4 Pm this event sold out last year, Adults $45, Kids 12 and under just $12. FROM THE DESK OF KEMPERSPORTS… Don Crowe has rejoined the company and will serve as the new General manager at Bandon Dunes in Bandon Oregon, he will become the the resorts third GM in 17 years, following Hank Hickox and Josh Lesnik. 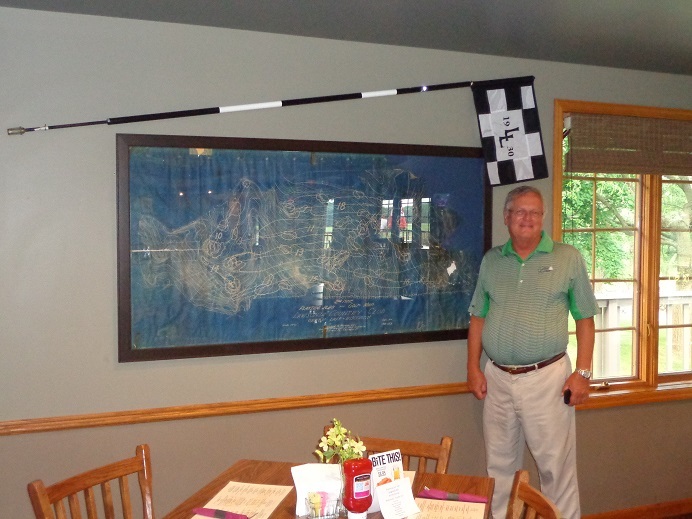 Crowe previously served at 5 KemperSports properties including the Glen Club. 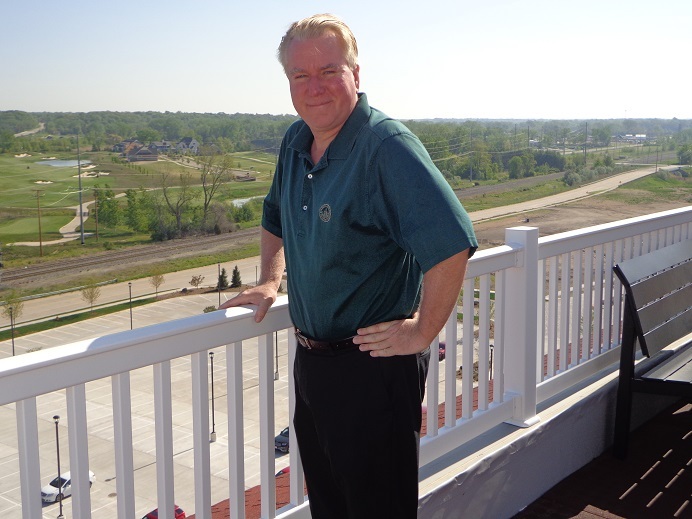 Vince Juarez has been named by KSM to serve as the new GM at the Deerpath Golf Course in Lake Forest, that is under going several improvements and has been over the last few years. Juarez previously worked at Fox Lake Country Club in Fox Lake. Pinehurst has announced the new Evergreen meeting package, with specials through March 4th of 2017. Is it time for your next business setting to be at some place elegant and historical, with top level golf as the backdrop. 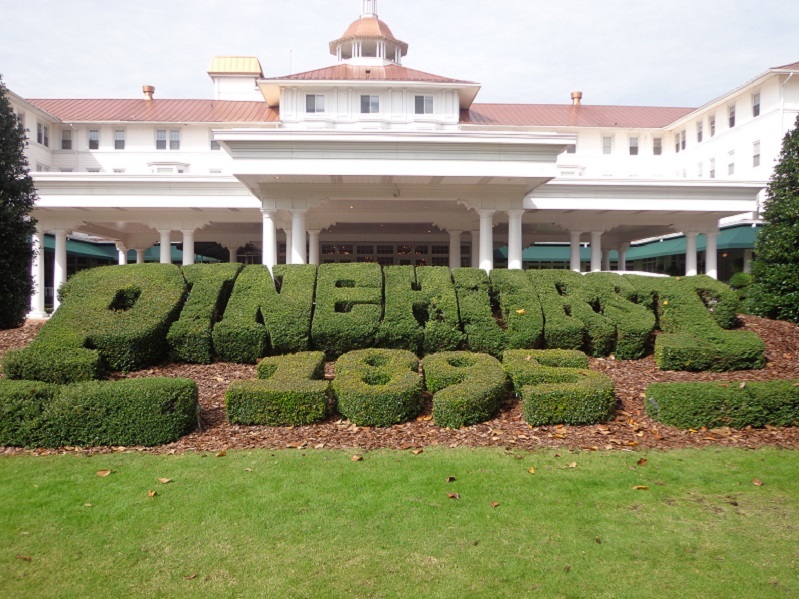 If so, check out the Evergreen Package at Pinehurst, where it’s always a beautiful day. For more information please call Don Bostic at (910)-235-8508 or (800)-659-4653. 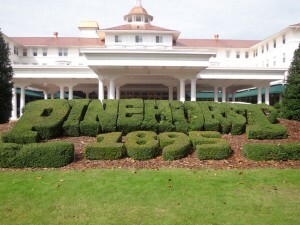 You can email Don at Don.Bostic@Pinehurst.com. If your ready for your next getaway, either this winter or you just want to book that 2017 golf trip now, well good news, you can. Kohler is offering some winter escapes and now you can book your tee time to play Whistling Straits in 2017, the course that hosted three PGA Championships and will host the 2020 Ryder Cup. 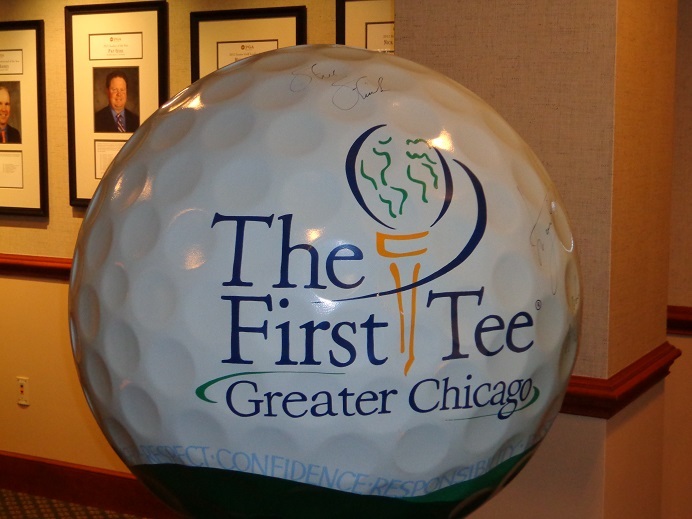 The First Tee Program of Greater Chicago is having a support day on November 29th. The First Tee is hoping for donations of at least $20, in honor of the First Tee’s 20th Anniversary in 2017. 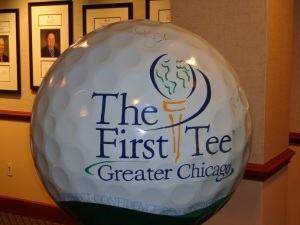 The First Tee is an development initiative of the World Golf Foundation and is supported by many of the leading organizations in the sport of golf. Donations have a positive impact on the lives of young children and golfers to be for decades to come. Evanston Illinois based Links Capital Advisors and Chris Charnas are proud to announced they are handling the sale of the Michigan based Manistee National Golf & Resort in Manistee Michigan, the property includes 36 holes of golf and and a lodge that includes 42 guest rooms now available for under 2 million dollars. Contact Chris at (847)-866-7192 or at Chris@linkscaptialadvisors.com. IS GOLF SEASON OVER ? THE GOG BLOG by RORY SPEARS, Editor and Director of Content. Follow Rory on Facebook, Linkedin and Twitter @GogBlogGuy. 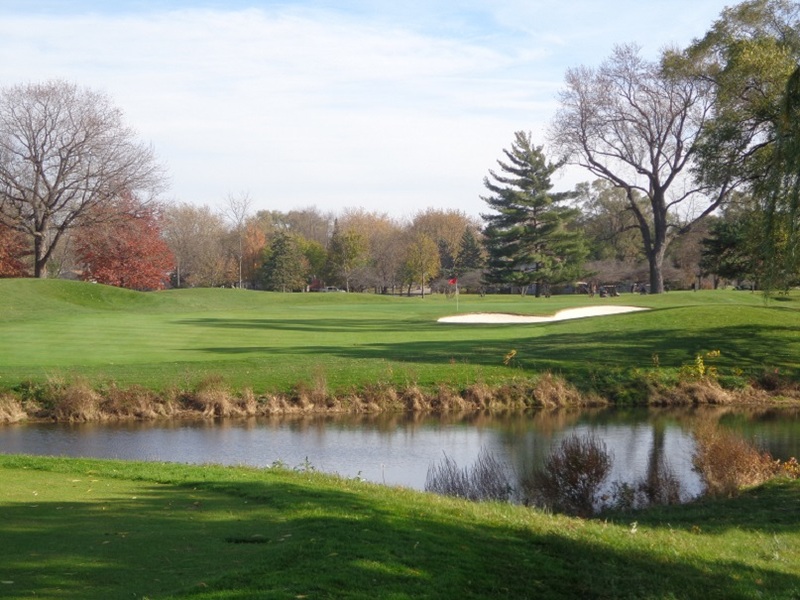 On the 18th at the DuPage County Course formerly known as Oak Meadows, that will reopen in 2017 with a new name. IS IT OVER, that’s the question golfers in the Chicago area are asking themselves this morning as the temperatures have plunged into the 30’s. Originally it was supposed to be a high of 35 today but now it should be 41, but even that is a little chilly for 18 holes. As a result some courses are not opening their doors this weekend. Tomorrow is not supposed to be much better, with temps around the same and Monday has only a small improvement. I suppose there is a chance Mother Nature might open the window for a brief 36 hours of temperatures in the Mid-50’s or even 60 yet, but before that happens it’s likely most of the golf courses in the area will have closed for the winter. The golf domes and the proshops will be open, taking gift card or membership orders, or maybe selling off some leftover golf shirts and hats at discount prices in time for the holidays, do take advantage while you can. Cog Hill will hold it’s big Christmas and Holiday sale on Saturday December 2nd, from 10-3 PM. Free wrapping if needed, plus you can’t beat the holiday punch, and that’s free. THE PAR 3, 12TH HOLE AT BLACKBERRY OAKS (L) and the Chad Johansen putting lab complete with a Perfect Putting Aid (PPA) inside of the Blackberry Oaks clubhouse. I used some vacation days this past week to play 54 holes while that last blast of warm weather was with us. It was only the second time this year I got to play 3 straight days, it’s amazing how quickly your game can round into shape when you play a few days in a row. WEDNESDAY: Blackberry Oaks, Bristol. I ended a nine day drought of not playing by heading out to Blackberry Oaks, always nice to see Chad Johansen the GM and head golf professional at “The Oaks”. I was at the grand opening of the course in 1993, and did not return until 3 years ago, when I got rained out on the sixth hole. By the time the rain stopped, a few holes were underwater so this time it was nice to get all 18 in. 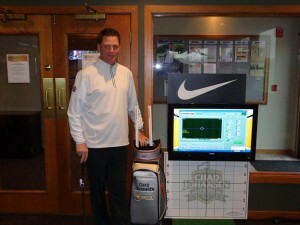 Chad Johansen in the Putting Lab at Blackberry Oaks. Johansen is one of the up and coming stars of the local IPGA Section. Not only has he moved up from assistant pro to head professional and now to general manager, but he has created two really helpful game improvement aids. First up is the Perfect Putting Aid, and over 100 PGA Tour professionals have one, including the reigning champions of both opens. 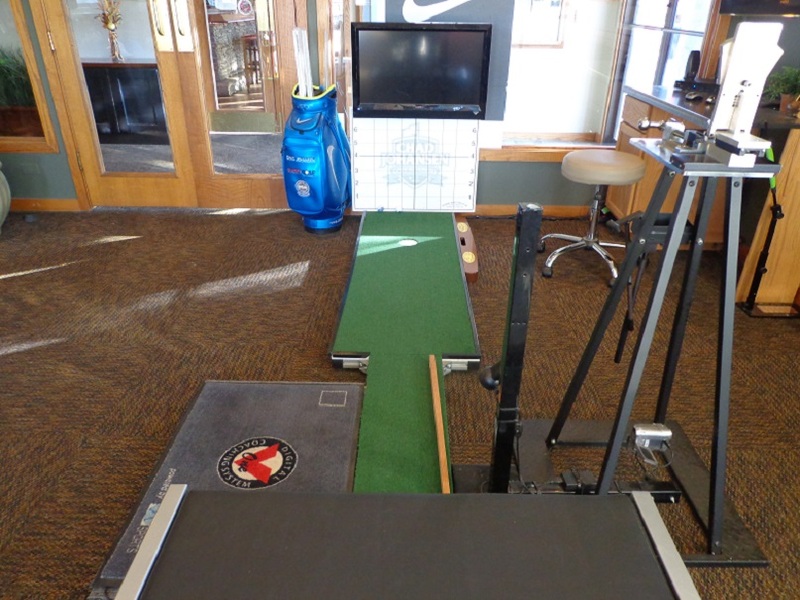 I have one in my office and I’m not sure there is a better putting aid on the market, if your putting has struggled or the junior golfer in your family wants to take the next step towards a spot on the golf team, or towards a college scholarship, make sure they have a Perfect Putting Aid, available online or in the Blackberry Oaks pro shop that can be reached at (630)-553-7170. Perfectputtingaid.com is also and option. Johansen more recently created the Guide For Golf, that allows you to pull up golf lessons via your phone or computer whenever or wherever you need them. If your somewhere warm this winter, and need a quick fix, you need to be subscribe to the Guide For Guide through Guideforgolf.com. which is another great Christmas or holiday gift. Johansen has created one of the better junior golf programs in the Chicago area, and the Chad Johansen golf Academy is one way the kids are getting involved and getting better on and off the golf course. THURSDAY: Schaumburg Golf Club, Schaumburg. 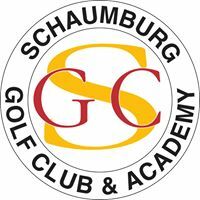 I had not played Schaumburg Golf Club in some 15 or 16 years, I didn’t remember much of the golf course but it’s a facility that deserves more props from us golf media types. General Manager and head professional Jon Parsons and his staff have earned it, but somehow Schaumburg has flown under the radar a little bit in the big picture. But apparently not among area golfers as the club does near 55,000 rounds a year, after my recent visit I’m not surprised by that total. Off the course Chandlers Restaurant looks pretty good as well. TOURNAMENT COURSE HOLE 6 THE PAR 3, and GM Jon Parsons showing off the new downstairs simulator and party area, open year round to help you get some swings in while the cold and snow are piled up outside all winter long. 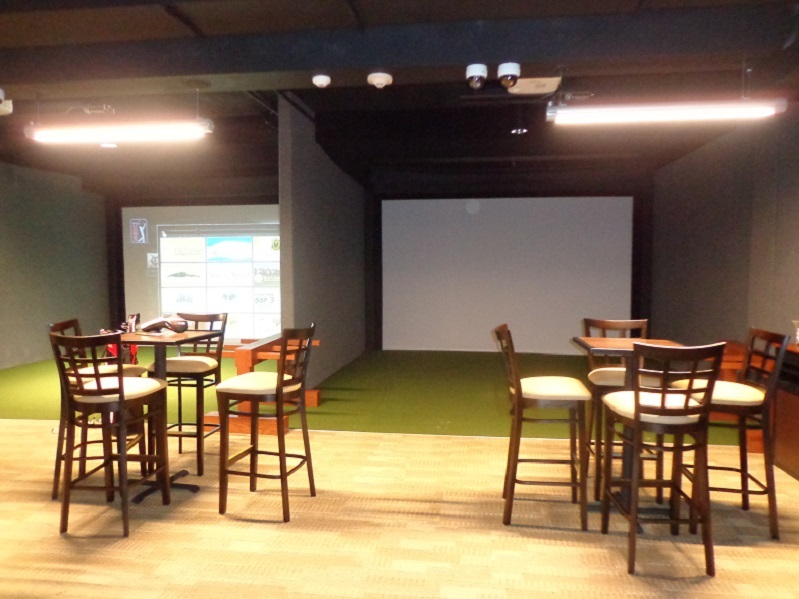 The Schaumburg Golf Club simulator and indoor golf area, downstairs in the clubhouse. 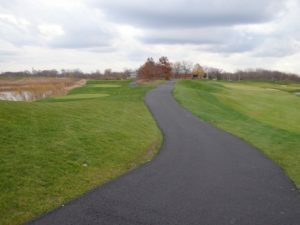 In 2017 Schaumburg will start the first phase of a 3-year renovation program, nine holes at a time. The club is still working through the permitting program with county and Army Corp of Engineers so they don’t know which nine (Tournament-Baer or Players) will start getting dug up in June of next year, but I expect that in three years, Schaumburg will be among the area’s better public courses from top to bottom. 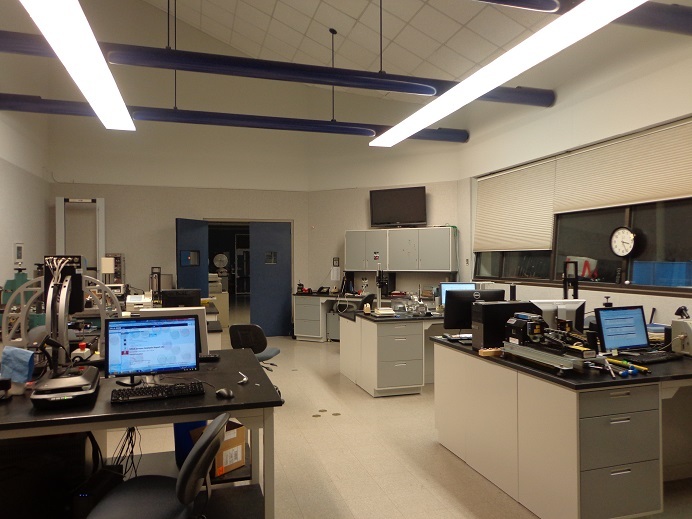 The course can be reached at (847)-885-9000. FRIDAY: Prairie Landing Golf Club, West Chicago. I played the course in 1995 for the Grand Opening and ended up T-2 with a 13 under par score in a scramble, lost out to the team that had the mayor of West Chicago on it. 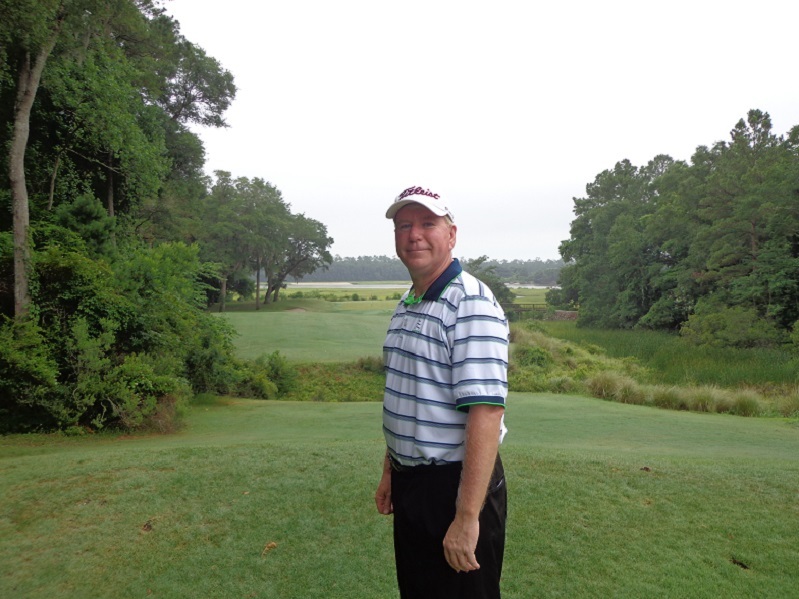 After a long absence went back and played the course in 2008 with BIG 3 partner Len Ziehm, while the course was still nice not much had changed or been improved in 13 years. That is not something you can say anymore. THE NEW CART PATHS at Prairie Landing were just being finished yesterday and there is not a smoother cart path ride in the area (L). 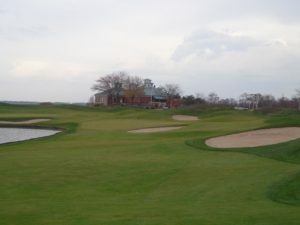 The new short game area in between the practice holes has added even more to the Prairie Landing Golf Club designed by Robert Trent Jones II. Prairie Landings golf operation manager, JR Starnes has had an interesting season since taking over his position at the club. There were a few major staff changes and the year started with media types like yours truly reporting that the course was going to shut down for good. Fortunately for Starnes and golfers everywhere that proved not to be the case. As a deal was reached and the company that had sought the land that is currently the golf course, no longer required it. It was just two years ago, that a major bunker renovation was completed and there had been a major money commitment to keep improving the club. It would have been a shame to see all that go to waste. The Par 5, 18th hole at Prairie Landing. The third shot requires an approach between a large pond and multiple bunkers. When the good news about the club staying open for years to come, it was fun to be a part of spreading the good news. Prairie Landing was a fun course to play my last outdoor round of golf for the 2016 season, if Mother nature doesn’t let us back outside for another round or two before the snow arrives and we are celebrating the Christmas holidays. It is always fun to play outdoor golf in December around Chicago, if for no other reason to look around and feel the enjoyment of playing golf in Chicago at that time of year. Prairie Landing Golf Club that enjoyed it’s 20th Anniversary in 2015, is not only a great place to golf, but excellent for banquets and special events. For more information on Prairie Landing call (630)-208-7600, or Prairielanding.com. The three courses I played to maybe end the year of outside golf, all made me glad I had returned after not having played them in years, and you should visit courses you have not played a while including the three I above, even if it doesn’t come until 2017. RS.